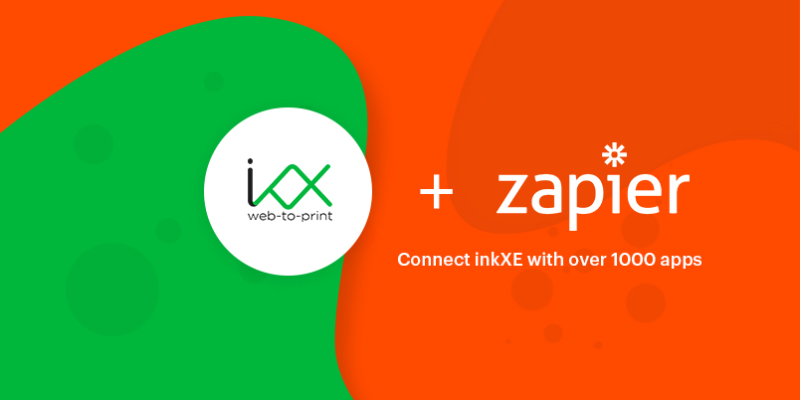 inkXE & Zapier Integration is Now Live! 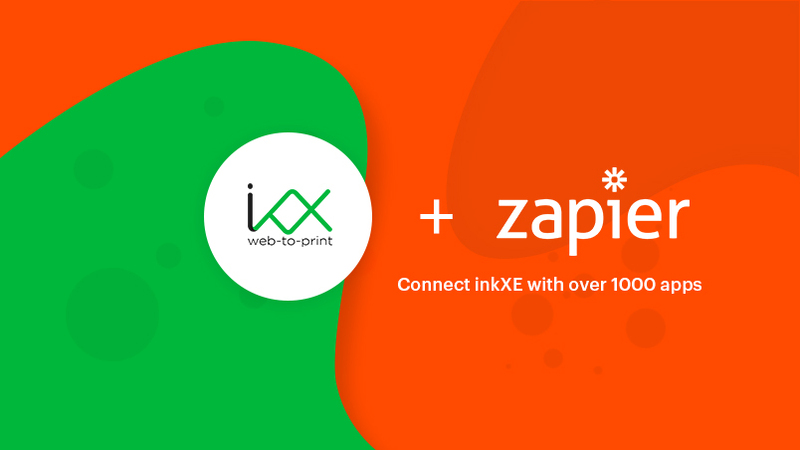 You Are Here:inkXE Blog News inkXE & Zapier Integration is Now Live! We’ve heard from a lot of our customers that they were unable to keep track of their orders and sales and were having a hard time keeping all the team members informed. It is common for teams to feel overwhelmed with all the orders, re-orders, returns, cart-abandonment etc. All this data is available in the system but takes a few more steps and manual intervention in-between to track all actions and keep everyone posted. But not anymore! With our new Zapier integration, managers and team members can automate various actions on apps such as Slack, Dropbox, Gmail, MailChimp etc., based on actions taken by their customers on their e-commerce store. Zapier(https://zapier.com/apps/inkxe) lets you connect inkXE to 1,000+ other web services. Automated connections called Zaps, set up in minutes with no coding, can automate your day-to-day tasks and build workflows between apps that otherwise wouldn’t be possible. Each Zap has one app as the **Trigger**, where your information comes from and which causes one or more **Actions** in other apps, where your data gets sent automatically. Sign up for a free Zapier(https://zapier.com/apps/inkxe) account, from there you can jump right in. To help you hit the ground running, here are some popular pre-made Zaps. How do I connect inkXE to Zapier? Log in to your Zapier account(https://zapier.com/sign-up) or create a new account. Navigate to “Connected Accounts” from the top menu bar. Now click on “Connect new account” and search for “inkxe”. Use your credentials to connect your inkXE account to Zapier. Once that’s done you can start creating an automation! Use a pre-made Zap or create your own with the Zap Editor. Creating a Zap requires no coding knowledge and you’ll be walked step-by-step through the setup. Need inspiration? See everything that’s possible with inkXE and Zapier(https://zapier.com/zapbook/inkxe). How It Helps Print Shops? inkXE integration with Zapier will make your more productive and will keep you posted on all events. We are working on adding more ‘Triggers’ to our app so that you get the most out of inkXE. How to Pretreat T-Shirts for DTG Printing? How to Reduce the Turnaround Time at Your Screen Printing Shop? Why Plastisol is Still the Best Screen Printing Ink? How to Make Screen Prints Last Longer with Proper Curing ? How AI and Machine Learning Will Impact Print Industry? Copyright inkXE : All rights Reserved.